Another way to increase demand is needed. According to Electric, Tesla will soon offer leasing products for its Model 3 all-electric sedan in order to increase demand. Electric claims it obtained an email sent to Tesla employees detailing plans to begin the leasing program sometime in the next two weeks. Tesla confirmed the email’s authenticity but also clarified aspects of the program have yet to be finalized. Another factor delaying the leasing program is production. It took far too long for Tesla to sort out Model 3 production issues and successfully maintain a consistent output that meets demand. Tesla confirmed these issues have since been resolved. But why is a leasing option potentially a good thing for buyers? Because Tesla has yet to roll out the long-promised $35,000 entry-level Model 3. 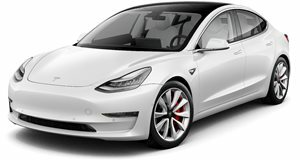 Currently, the cheapest Model 3 you can buy costs nearly $43,000, putting it out of budget for many. A leasing option could potentially offer lower monthly payments more in line with $35k financing. Tesla is banking on Model 3 profits to secure its future, hence the need to increase demand. Leasing is simply another way to boost profits.